Unlock the secret to younger looking skin with the AminoGenesis ParanormalEFX Anti-Aging Serum; an advanced skincare treatment that utilises scientific technologies to combat common signs of premature aging. 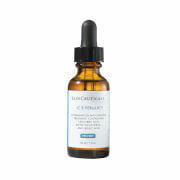 The concentrated, vitamin-rich serum contains the signature AminoGenesis™ base formula to hydrate, nourish and revitalise skin with 17 essential amino acids as well as the patented, breakthrough peptide Preventhelia™, which combats free radical damage and helps neutralize oxidative aggressors that both cause premature signs of aging. 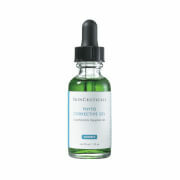 GPA-3 Guanidinopropionic Acid works to calm and alleviate tension in skin, minimising the look of frown lines, while Tremella Mushroom Extract and Pa Reviviscence (Resurrection Plant Extract) deliver intensive moisturizing and antioxidant properties to quench dry patches and minimise the look of dark circles. 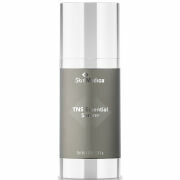 Suitable for daily use, skin appears smoother, firmer and revitalised. Apply ParanormalEFX in the morning after cleansing and before applying your moisturizer. For external use only. Purified Water (EAU), Ethylhexyl Palmitate, Glycerin, Amidino Beta-Alanine, Hydrolyzed Tremella Funciformis Sporocarp Extract, Selaginella Lepidophylla Extract, Retinyl Palmitate, Cholecalciferol, Diaminopropionyl Tripeptide-33, Tocopheryl Acetate, L-Lysine HCl, L-Histidine HCl, L-Arginine HCl, L-Aspartic Acid, L-Threonine, L-Serine, L-Glutamine, L-Proline, L-Glycine, L-Alanine, L-Valine, L-Methionine, L-Isoleucine, L-Leucine, L-Tyrosine, L-Phenylalanine, L-Acetyl Tyrosine, Hexylene Glycol, Caprylyl Glycol, Ethylhexylglycerin, Sodium Citrate, PEG40 Hydrogenated Castor Oil, Carbomer, Phenoxyethanol, Triethanolamine, Disodium EDTA, Fragrance, Blue 1 and Red 33.